I'm so excited to introduce you to Coady & Chauntel. They're a beautiful couple I had the good fortune to get in touch with about a month before their wedding, when they booked me to be the photographer for their elopement. When a couple elopes, it feels like a particularly sacred trust when they choose me to be there to photograph it. I was also asked to sign as a witness to their vows, and it really hit home that I needed to capture the pure emotions of the day so that they have a way to share this special time with their friends and family later. 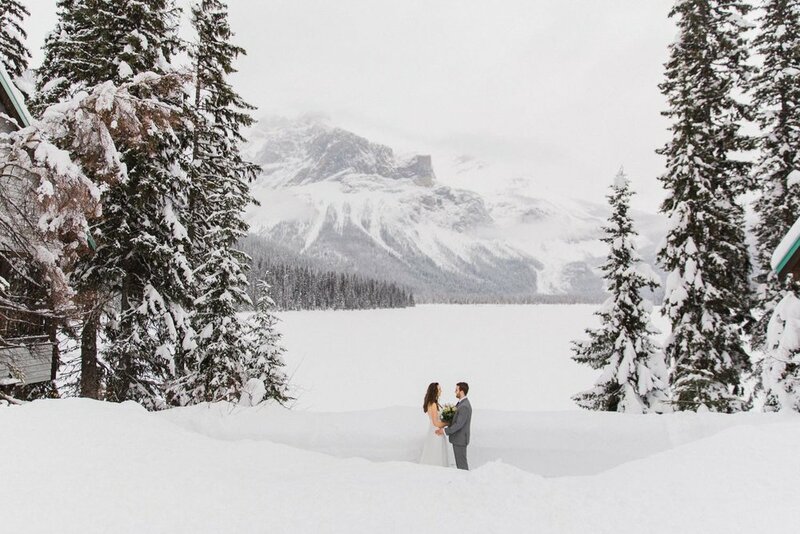 How did you come to the decision to elope at Emerald Lake Lodge? 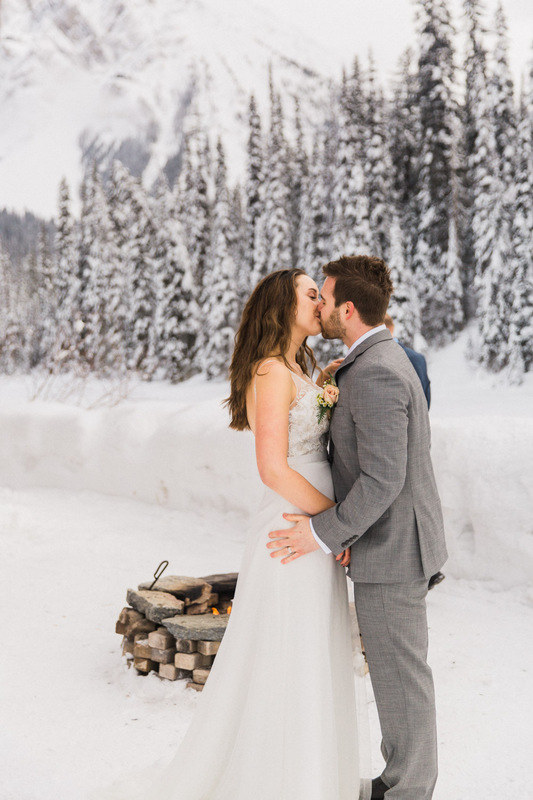 "Emerald Lake Lodge came about after we evaluated whether having a big wedding was really for us or just for our family. Once we made that decision, Emerald was a no brainier. 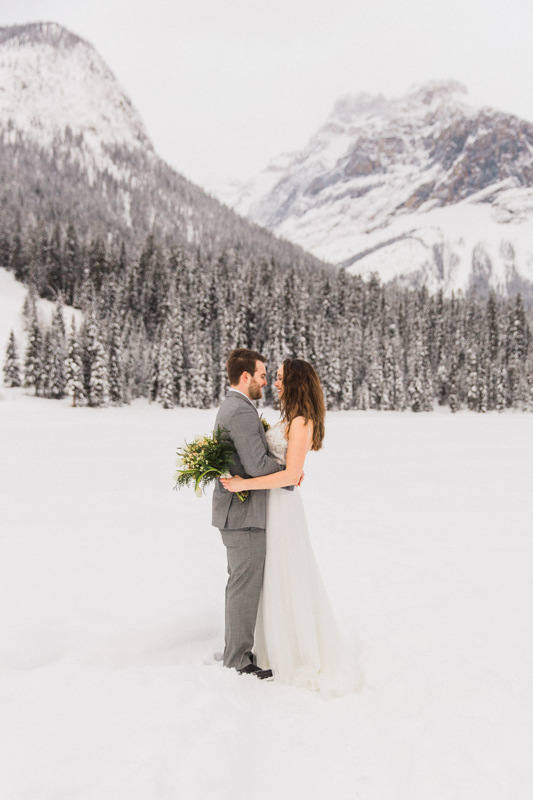 We already knew how gorgeous it was because it was where I proposed." 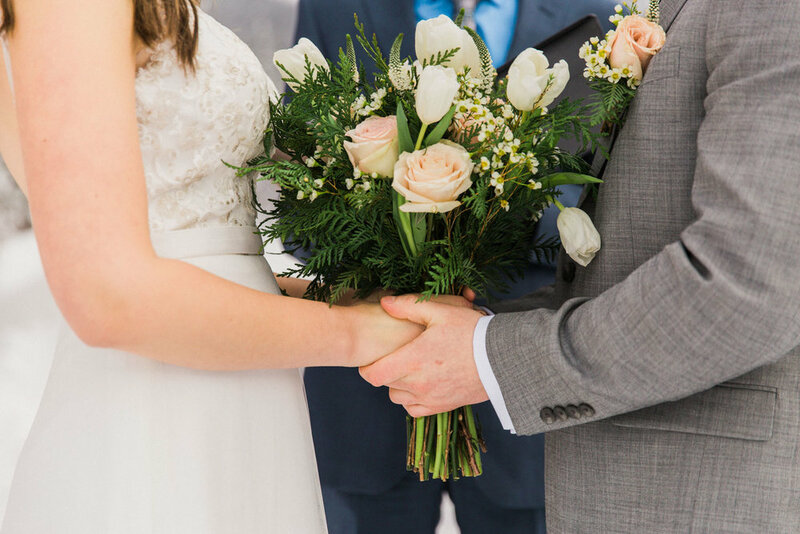 Now that you're married, what were the pros and cons, if any, of eloping? "Not all family members were receptive to our decision to elope." 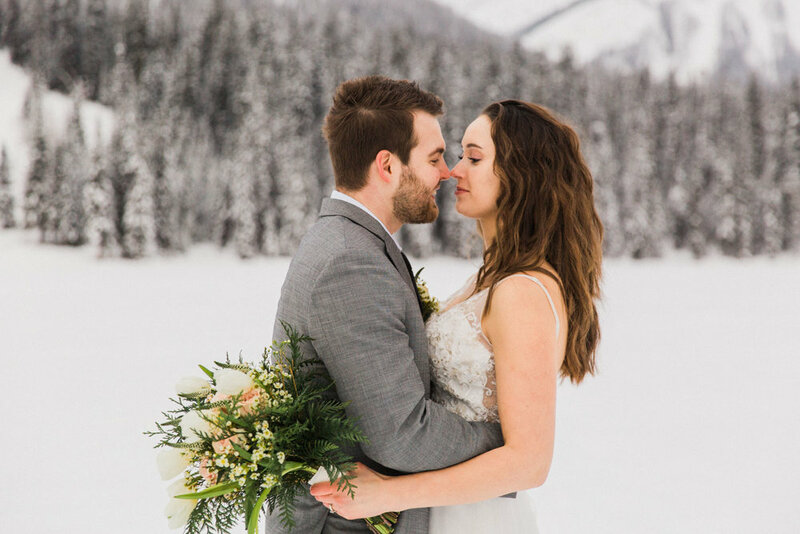 How did you handle this, and do you have any advice (now that you've done it) for other couples who want to elope? "Well, what we did was say we would have a separate celebration with friends and family. Most of Tels family, and a few of mine, are in different parts of Alberta, so we are organizing a family get together. I have a lot of other family in the Maritimes, so the next time we head back East we will go out and celebrate. Essentially, you can't make everyone happy. The quicker you realize that, the easier your planning will become, and the happier you will be with the choices you make. We could not have asked for a better wedding. Everything turned out perfect." 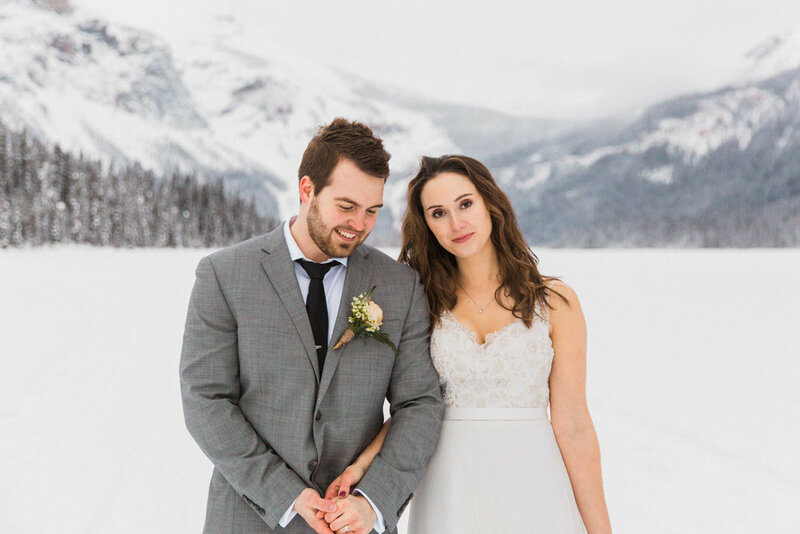 You two were so relaxed and everything seemed to go so smoothly the day of your wedding, what do you think helped most to stay chill and enjoy the moments? "We had been looking forward to that day for two years. Because we booked less then 2 months out, we had to fast track our preparations. We only found our outfits two weeks prior. 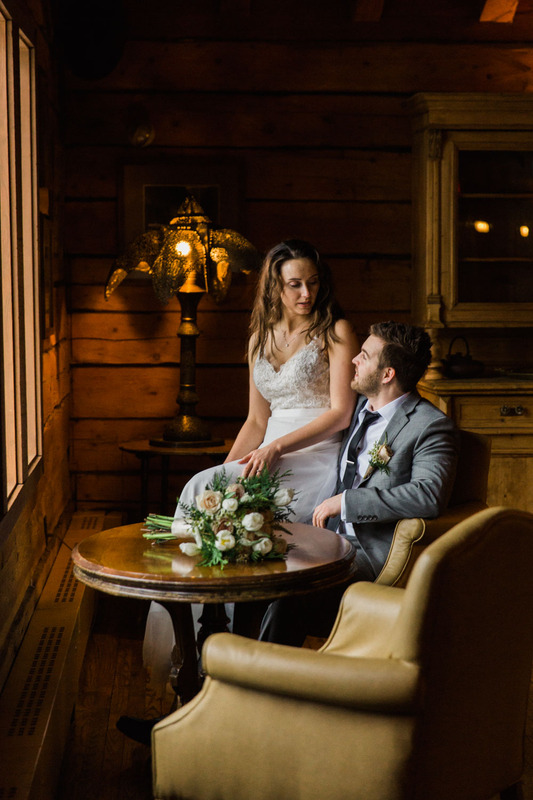 The reason we could be so relaxed on the day of was just knowing the moment had come and we were in such a picturesque, serene, relaxing location where we could just -- breathe." "When we were able to pop a bottle of champagne at the end of dinner as a married couple."